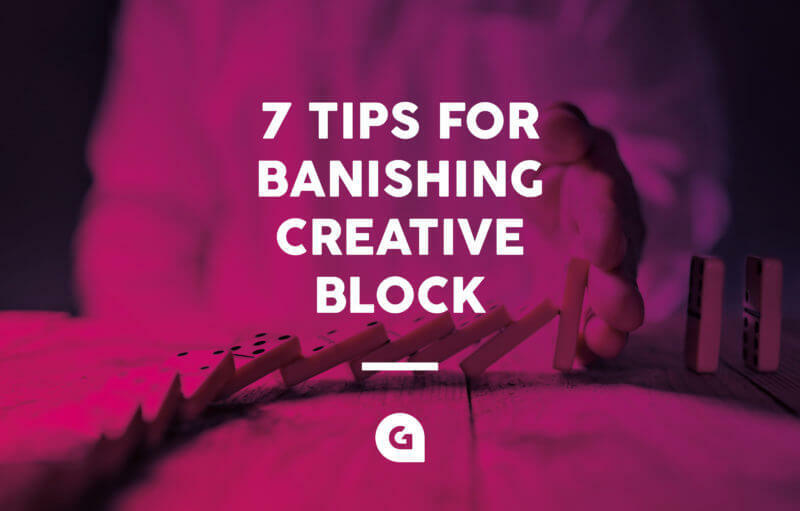 Creativity tends to be a very passionate and emotive subject, so when a creative block strikes, it can often leave us feeling frustrated and at a loss! Or screen, paper, couch, wherever your project is, make sure you’re not! This one is one of the oldest in the book, but we often forget the most obvious, especially when a deadline is looming. Go for a walk, make a cup of tea, do the washing up – anything that means you’re not looking at the same sticking point over and over again. Kids are usually the most creative, take a leaf out of their book. Play with Lego, draw with crayons, attempt to solve a Rubik’s cube. If that’s not your bag, complete a Sudoku or crossword. Use your brain in a different way to focus on something else. We don’t mean a little smirk, we’re talking a big belly laugh. If it’s a particularly big block, why not even add in a dance, get the blood flowing. It’s a great way to relieve stress. Make the physical action and your mind will follow. Now, you may think this one is counterproductive, but hear us out- we’re not talking about browsing Instagram. We can often spend hours going round in circles on an idea that just isn’t working. Stop! Do that task you’ve been putting off, calling that distant relative, oiling a squeaky door frame or cleaning the fridge. You’ll feel accomplished with a positive attitude to return to your work. Go for a run, relax with some yoga, do a roly-poly. Exercise releases endorphins. Endorphins make you feel good. If you feel good, work seems less daunting. If you’re someone who listens to music while working (or even if you don’t) try turning on a playlist you wouldn’t normally listen to, a complete different genre or alternative radio station. Listen to pop? Tune into classical. A change in one sensory process may lead to a different sensory output. If you’re like us, this one sounds appealing, but possibly unproductive. ‘Sleep on it’ is a mantra to live by. Our bodies need rest, time to recuperate and to digest the day. Even a 20-minute power nap has been proven to improve work productivity. Everything seems better in the morning after a good night’s sleep! If you’re still struggling with a creative block after attempting the above, remember, a problem shared is a problem halved. It’s great to talk to other creative minds and hear their experiences and approaches.